1937: Woking 2 Guildford Pinks 1 in the Guildford Cup. 1940: Woking 4 Vickers 4, RE Gough and a Buckmaster hatrick for the Cards. 2010: Woking defeated Weymouth 4-0 on the last day of the season to get into the play-offs. 1910: Windsor & Eton 3 Woking 0 in front of 2,000 at the Oxford Hospital Cup Final. 1927: Woking 0 Clapton 3 in the Isthmian League, attendance 2,500. 1949: Woking 2nd XI beat Banstead Athletic 2-1 in the Surrey Intermediate Cup Final, the crowd of 1,500 (paying a grand sum of £62) was swollen by eleven coach loads of fans from east Surrey. 1994: Enfield 0 Woking 0, FA Trophy Semi Final 2nd Leg. 2011: Farnborough 1 Woking 2 in the Blue Square South. 1905: Woking 7 Ilford Alliance 0, at our White House Ground off Pembroke Road. 1935: Woking 5 St Albans City 1, Bill Lawrence (2), F Stockley (2) and WH Moulsdale, attendance 2,300 receipts £75. 1957: Guernsey 0 Woking 2 on the Cards tour of the Channel Islands. 1989: Woking 2 Leatherhead 1. A crowd of 712 watch Lloyd Wye and Adie Cowler score against their old Surrey rivals at Kingfield. 1997: 19 year old Kevin Betsy makes his Woking debut as a substitute at Macclesfield Town. 2017: Woking 1 York City 1, Garry Hill’s last home Conference National game in charge. 1906: Playing with only ten men Woking go down 0-6 at Kingston. 1972: Woking 1 Kingstonian 3. 2009: Woking are relegated after 17 continuous seasons in the Conference. 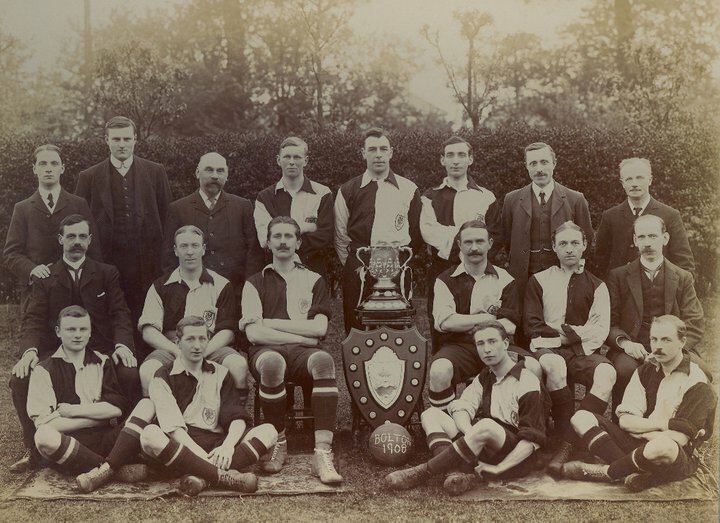 1908: Woking 2 Dorking 1 at Guildford in the Surrey Charity Shield Final. 1920: Dulwich Hamlet 4 Woking 0, Isthmian League, attendance 4,000. 1981: Woking 1 Epsom and Ewell 2, Surrey Senior Cup Final at Sandy Lane Tooting. 1994: A record Conference defeat for the Cards - Woking 1 Dagenham & Redbridge 8. A huge thanks to Mark Doyle for compiling the information for this feature!